Claudine Snape, head of communications at Asthma UK, tells us what life is like for its comms team. How many comms staff work at your charity? There are seven permanent members of the communications team and we often take on interns or volunteers. The charity has about 80 staff in total with most based in our London HQ and others in offices in Scotland, Wales and Northern Ireland. What does the comms team do? Overall we want to make really big changes for people with asthma. To do that we need more support and more influence. We need to capture the attention of people who can help us and engage those who most need us. That’s where the Communications department comes in. It’s divided into three teams: digital media, media & PR and brand and creative services . Digital media is made up of a digital manager and an officer and is responsible for our website, social media channels and video work as well as training and supporting staff to engage with supporters online. Their big focus is getting more people to take action on our behalf and we’ve just launched a new website which will help us do this. The media & PR team is made up of a senior media officer and a celebrity and case study officer. They run our press office, responding to media enquiries and proactively promoting the work of the charity. They also recruit and oversee our army of case study volunteers and encourage and manage celebrities to support and shout about our campaigns. A recent success is cyclist, Laura Trott, who is the face of our Big Up Your Chest Facebook page for 14-24 year olds. Brand and creative services is made up of a senior officer and an officer. They are our brand guardians and make sure we stay relevant and stand out. They recently led a brand refresh and we’re really proud of our new look and feel which we think is more engaging and memorable. They also manage the production of a range of merchandise and award-winning health promotion materials. What's been your biggest achievement as a comms team so far? Our communications campaign played a major part in securing an official decision that the drug Xolair should be available on the NHS for all people affected by severe allergic asthma. We relentlessly kept the issue in the media over two years with over 100 articles and over 140 million opportunities to see, hear or read about it. Combining this with the use of hard hitting case studies both on and offline meant we kept up the pressure on decision-makers to help make this breakthrough happen. Xolair doesn’t work for everyone, but for some people with very severe asthma, their lives have been significantly changed for the better. What's in the pipe-line over the next year? What projects are you working on? We’ve just embarked on a new organisational strategy which is entirely geared around preventing asthma attacks that lead to hospital admissions or death. This has generated a number of new projects either led by communications or with a great deal of support from us around highlighting the risks associated with asthma – it’s real hearts and minds territory. These future projects include a long-term ‘Stop Asthma Deaths Campaign’ which positions our new strategy in an engaging way and helps people clearly see what we are doing to achieve our vision of a world where no-one dies from asthma. It also gives people an opportunity to take action themselves to make a difference. What do you see as your biggest comms challenge? Establishing a clear and emotive case for support that resonates with people. We’re the only asthma charity so don’t have a problem with competitors, but we’re often faced with the attitude ‘its only asthma’, so people don’t always understand why we exist. 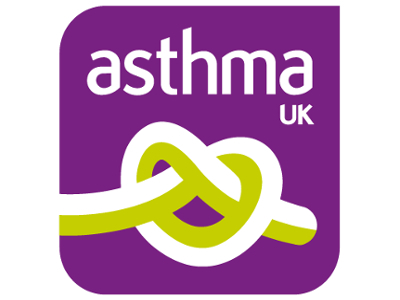 We do well in our score for prompted awareness but our challenge is to help the public understand our impact for people with asthma, and to be understood as the first and most obvious point of call when someone is diagnosed with asthma. It’s a very friendly office. We’re always baking cakes for each other’s birthdays and there’s usually a mountain of biscuits to be found in the team tin – not good for the waistline though! We have an open plan office so its very sociable and easy to pop across to speak to someone in person, which beats email every time. The comms team are all seated together so we can discuss projects or brainstorm together. Claudine has led the comms team at Asthma UK for over two years, leading on brand, awareness campaigns, digital & social media, PR and publishing. She has over 12 years experience which includes PR roles at Cancer Research UK and for the agency Lexis.